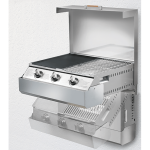 Categories: BBQ & Cooking and Outdoors Heaters. Backyard fire pits are becoming increasingly popular. Unwinding in front of a fire at the end of a busy day during the colder winter months is a great way to spend quality time with family and friends. New from Northcote Pottery’s Glow Outdoor Heating range is a collection of fire pit styles designed to work with various garden-styles, backyards and courtyards. 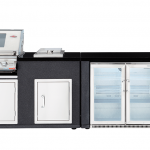 The Glow range comprises 12 fire pits and an electric heater option; is part of Northcote Pottery; and available from Bunnings Warehouse Stores nationwide. The All Aussie Backyard. For home renovators with a large outdoors space, the possibilities are endless when it comes to fire pit options. 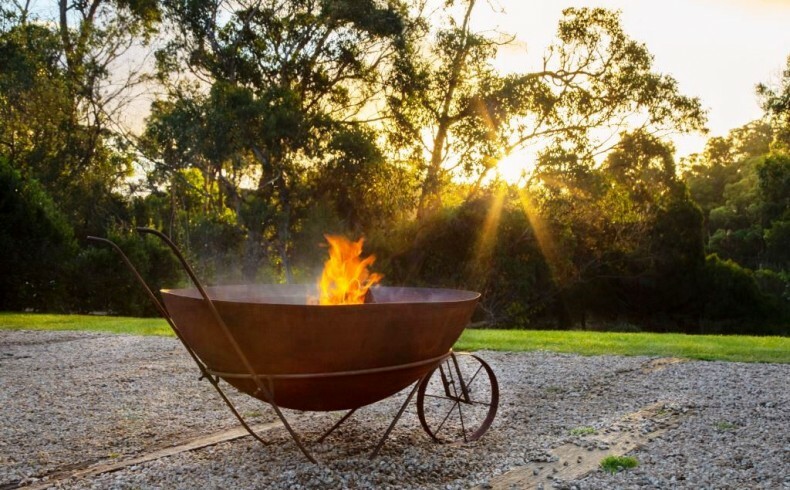 With its rustic wheelbarrow design, the Carter fire pit [$339] fits seamlessly into a casual Aussie backyard. 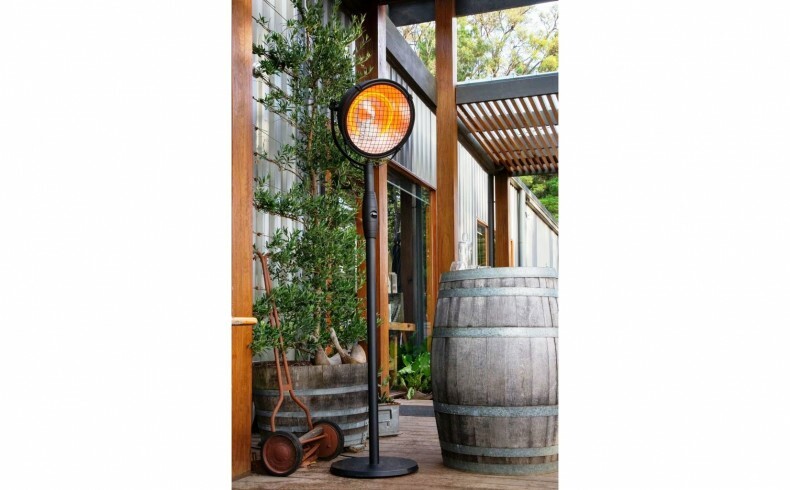 This large size wood-fired outdoors heater offers a robust design and good heat output, making it ideal for entertaining large groups. The Entertainer’s Dream. 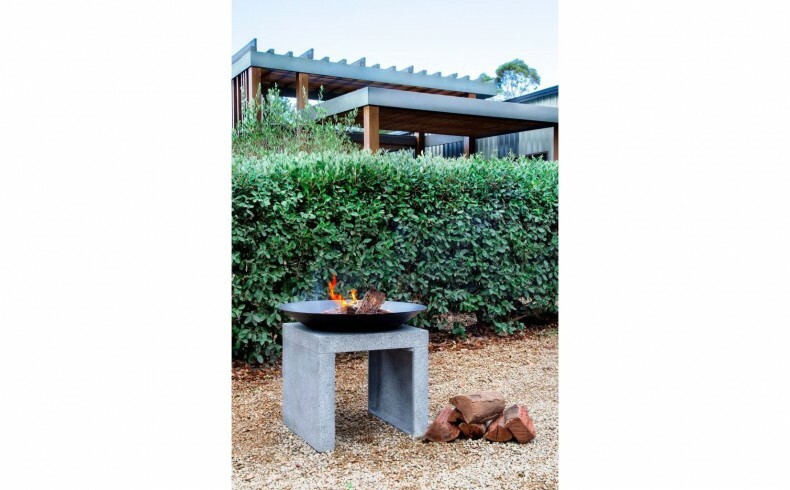 The Picchu fire pit from Glow [$399] offers an architectural design and can be the centrepiece of a landscaped backyard. With its stylish concrete and black palette, geometric style and minimalist look, Picchu works well with bench seating. The Suburban Oasis. For city-dwellers with a smaller garden, courtyard or patio there are smart, compact design solutions. 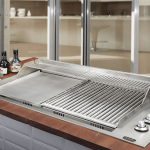 According to Glow, many home renovators want a fire pit that is easy to move; while others say that cooking is the ideal additional function for their outdoors heater. 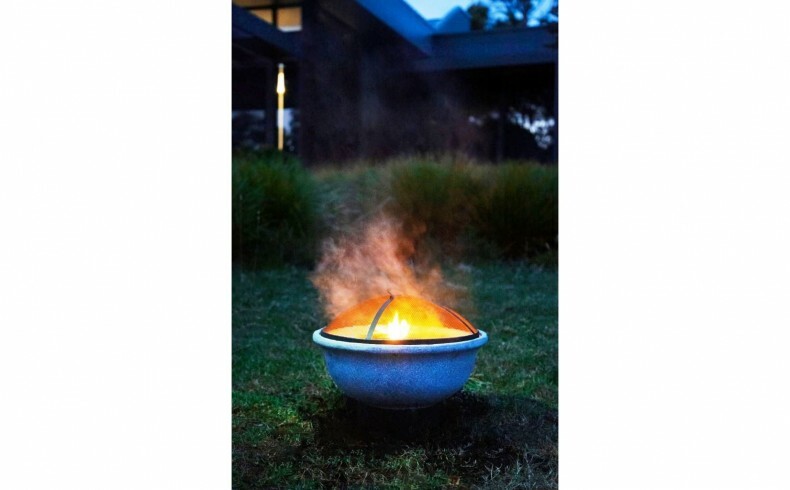 With this in mind, Glow has introduced Carla [$89], a compact and affordable fire pit that also doubles as a barbeque. 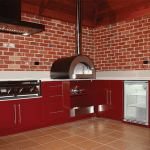 With a modern shape and terrazzo finish, Carla is compact in size and offers contemporary appeal. Patio Spaces. For places where an open flame might not be suitable, Glow provides The Searchlight 2100W Electric Halogen Heater [$329]. Ideal for patios, balconies and compact spaces, The Searchlight features three heat settings that project heat up to a distance of two metres. 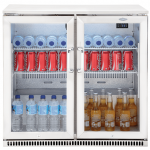 It’s portable; and is ideal for areas that would otherwise not be utilised when temperatures dip.